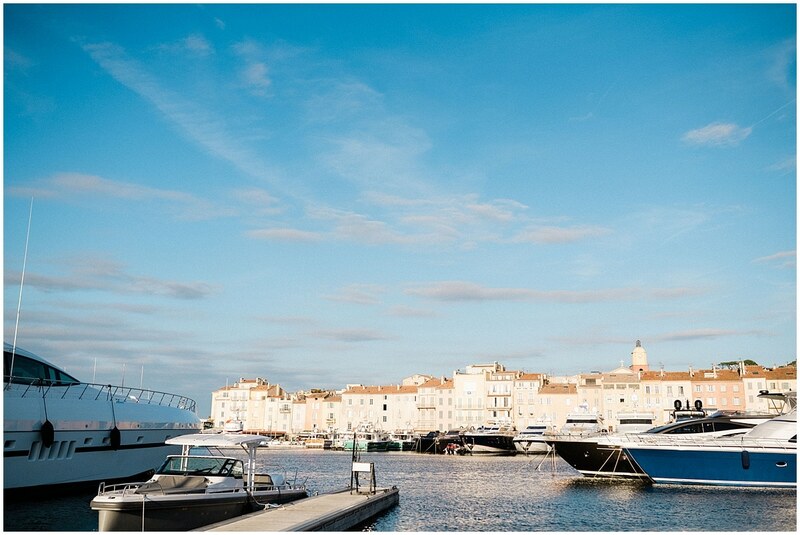 T&Y were married in September in Saint Tropez. Both live in New York City but they are used to visiting the famous village regularly. 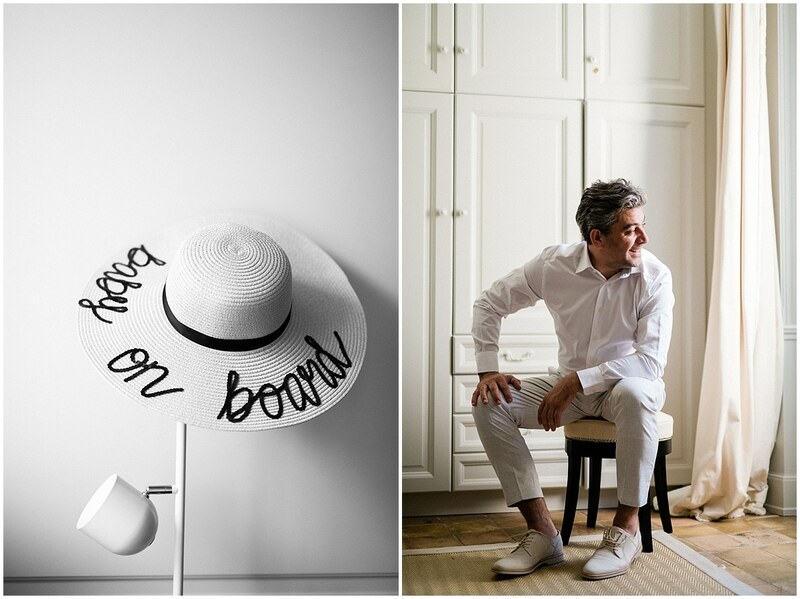 The day before the wedding began with an evening of welcoming family and friends, most of whom had come from afar to the Pan Deï hotel in Saint Tropez. The Pan Deï Palace is a luxury hotel based in the centre of the village. This hotel inspired by oriental decorations offers in addition to its suites and its ideal location a spa and an indoor courtyard with a swimming pool of the most beautiful effect. Tonight Taryn was wearing a Parter Black dress. The great wedding day began in good mood. Taryn preparing at the Pan Deï and Yannick Hotel in an apartment rented for the occasion a little lower down the old streets of Saint Tropez near the port. Taryn was wearing a dress from designer Lee Petra Grebenau, a prestigious Israeli designer specializing in luxury and tailor-made for Taryn who was waiting for a happy event. With my assistant photographer, we organized ourselves in order to be able to follow as closely as possible each moment. We took the opportunity to showcase the crankcase and some details. 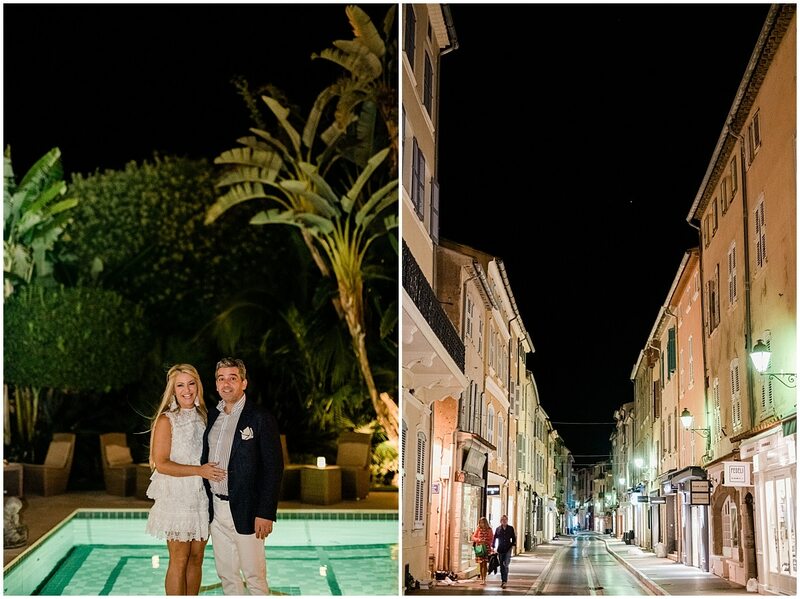 We then organized a first meeting of the bride and groom in the streets of the village of Saint Tropez. 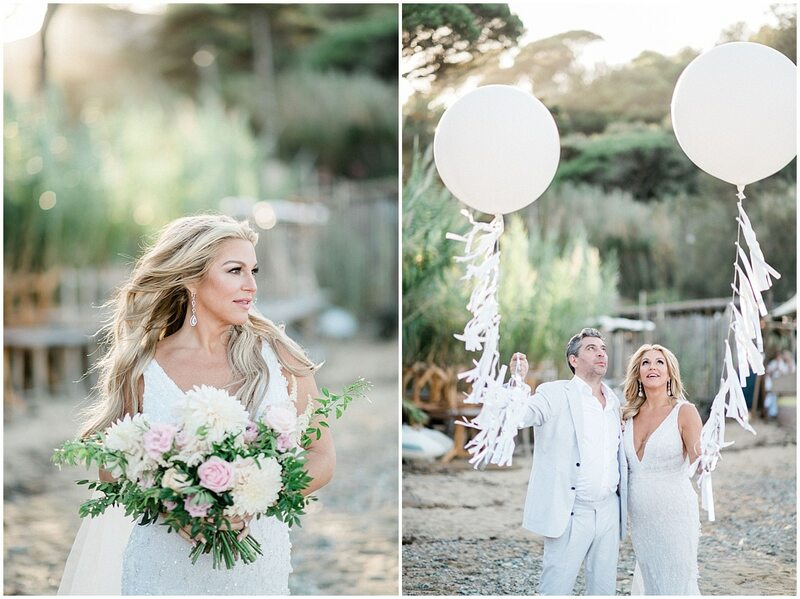 A couple session full of freshness before joining the guests for the ceremony that would take place just behind the village on the famous Graniers beach. 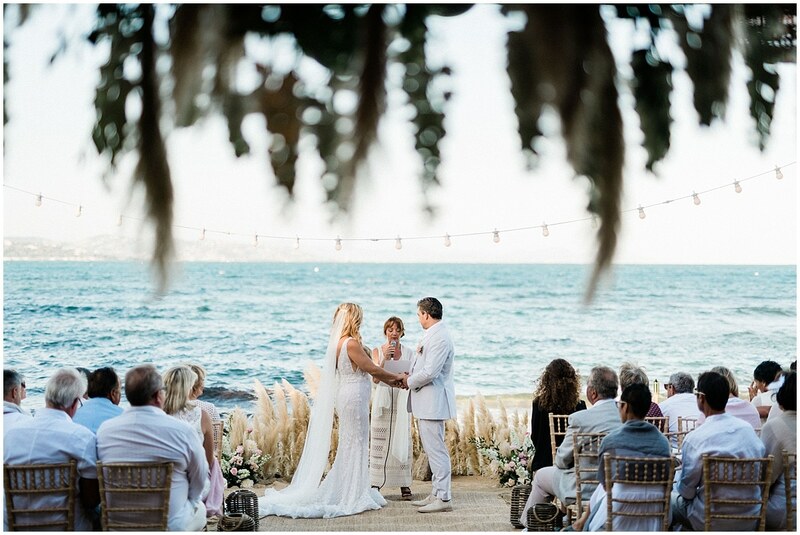 The ceremony took place at the end of the day in the beach restaurant of lili, on the beach of Les Graniers. A huge teamwork of the talented wedding planners Mylene and Geoffrey Whiteedenweddings who always do a wonderful job and the florist decorator SB floral design (Sister & blush Floral design). The beach furniture was completed by the Design by C team and the atmosphere was animated by the Johnny and the Walkers Orchestra.